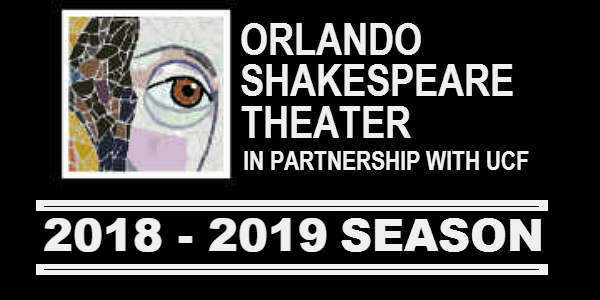 Orlando Shakespeare Theater (Orlando Shakes) in Partnership with UCF has announced the upcoming productions for their 2018-2019 season, which is also its 30th Anniversary Season. Orlando Shakes’ season opens in September 2018 with the multi-Tony Award-winning hip hop musical, Lin-Manuel Miranda’s In the Heights. It received four 2008 Tony Awards including Best Orchestrations, Best Musical and Best Score. Orlando Shakespeare Theater in Partnership with UCF presents the Dickens’ classic, A Christmas Carol, from December 3-28, 2014. A Christmas Carol features local actors Steven Lane as Brother/Bob Cratchit (Nicholas Nickleby and Into the Woods), Anne Hering as Mother/Mrs. Cratchit (The Trial of Ebenezer Scrooge), Sarah Caroline Billings as Middle Daughter/Ghost of Christmas Past, and Danielle Reneè as Daughter/Belle (Les Misérables), Chris Crawford as Son/Fred (Palm Beach Dramawork’s The Lion in Winter and American Stage’s The Foreigner), Parker Sims Chin as Youngest Son/Tiny Tim (Mad Cow Theatre’s The Who’s Tommy), and Carly Swain as Youngest Daughter/Fan (Orlando REP’s Rudolph the Red-Nosed Reindeer). Orlando Shakespeare Theater in Partnership with UCF cools down this summer with “Christmas in July” on Friday, July 25. 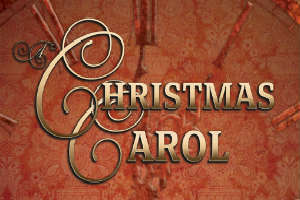 During the single-day promotion, the Theater will offer $25 tickets for all seats to select performances of “A Christmas Carol,” playing December 3 – 28, 2014. Orlando Shakes’ annual “Christmas in July” promotion celebrates the Theater’s commitment to providing affordable theatrical experiences to patrons of all ages. On Friday, July 25 from 12:00am to 11:59pm, all seats to the following performances of “A Christmas Carol” are just $25 each: December 18, 19, & 20 (7:30pm); December 21 (2pm); December 23, 24, 26, & 27 (7:30pm); and December 28 (2pm). Regularly priced single tickets for A and B level seating are $45 and $35 respectively. Discounted tickets can be purchased by calling the Box Office (407) 447-1700 ext. 1, online at orlandoshakes.org using the code word July25, or in person at the John and Rita Lowndes Shakespeare Center (812 East Rollins Street).